The pair will be following some of the most illustrious names in TT history by having corners named after them. 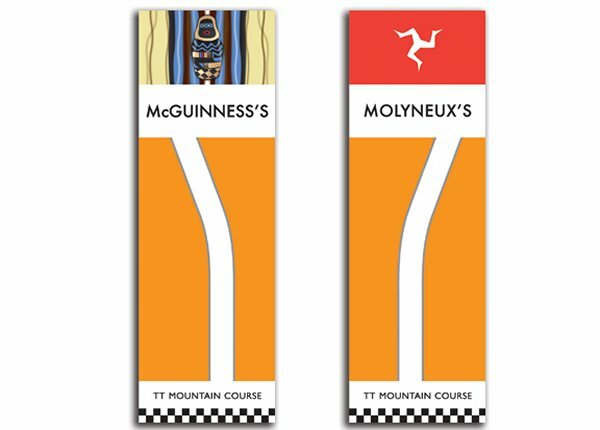 The newly named course points come as the Isle of Man Government has redesigned and replaced the existing directional boards and mile markers around the 37¾ mile course. 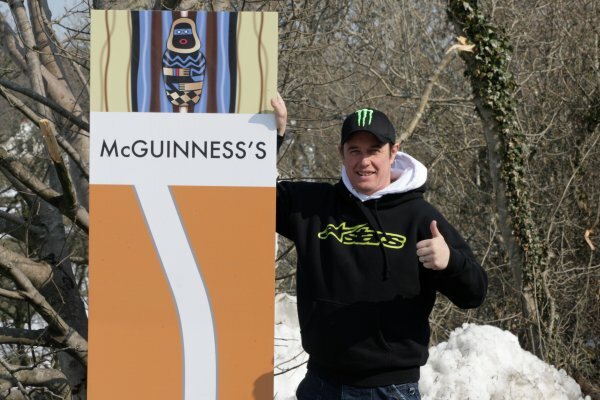 John McGuinness first competed on the Isle of Man in 1996 and to date has 19 race victories to his name, including two last year. He is also the outright lap record holder with a lap of (131.578mph) which he set in the 2009 meeting. Isle of Man born Dave Molyneux has won sixteen sidecar races including winning both sidecar races in 2012 with his current passenger Patrick Farrance. He first competed in 1985, winning his first race in 1989. The illustrious duo will be following in the wheel-tracks of some of the greatest names in motorcycling history to have sections of the course named after them including Giacomo Agostini, Geoff Duke, Jimmy Guthrie, Mike Hailwood and Joey Dunlop. The new signs that are named after famous TT riders also feature some individual artwork that reflects the rider's iconography. John's point of the course, which will now be known as 'McGuinness's' is at 'Shoughlaigue' which is the fast run down from Handley's Corner before the top of Barregarrow. It is his favourite part of the course and one where he believes he can gain time on his rivals. 'McGuinness's' will feature John's infamous voodoo artwork that has adorned his helmets for many years. Dave's corner is the fast right-hander at the end of Cronk-y-Voddy straight and will now be called 'Molyneux's'. 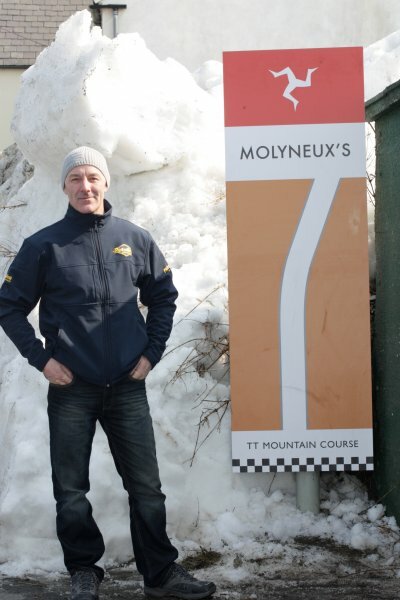 As the most successful local competitor by some distance, Molyneux's will be also be represented by the Island's three legs. The new directional signs retain the now iconic orange background but importantly include some new features. Fans will immediately spot the large TT logo that tops all the signs, and the new versions also incorporate the famous Mountain Course name along with a retro-inspired chequered board pattern that reflects the event's long heritage. In addition, each section of course featured is now a more accurate depiction of the road ahead, thanks to assistance provided by the Isle of Man Government's Department of Infrastructure. Fans will have an interesting time spotting those signs that have been radically re-designed, and there are even a few additional signs to be found in more than one popular vantage point. Meanwhile, the original signs that have now been replaced will be available on the auction site ebay together with other memorabilia including the iconic mile markers and the instantly recognisable yellow Shell fuel fillers used up until the mid 1980's. All funds raised from the sale of the items are invested back into the costs associated with running the event.